Just a 20-minute drive from San Francisco's busy downtown heart lies an oasis: Golden Gate Park. At 50 blocks long (3.5 miles) and half a mile wide its 1013 acres make it bigger than Hyde Park. Surrounded on three sides by residential areas — its western edge sweeps down to the Pacific — it's packed every weekend with joggers, cyclists, skaters, bladers, walkers and picnickers: 12 million visitors, most arriving by car. And of these only a tiny percentage will know that they are driving on an old racetrack. That's understandable: it's hard to imagine this serene scene ripped up by snorty exhausts and squealy tyres. Northern California, however, has long been a motor racing hotbed. Races were run in San Francisco as early as 1915, and in the early '20s the two-mile Cotati board-track oval was built an hour's drive north of the city. 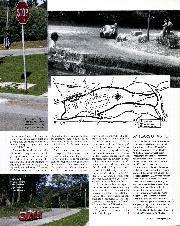 By the '30s dirt tracks were the rage and there were several in the San Francisco Bay Area and the neighbouring San Joaquin valley; one of these, a dirt track called Oakland Speedway, in the East Bay town of San Leandro, boasted seating for 25,000. 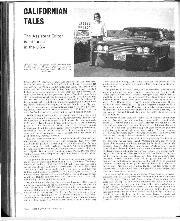 But shortly after WWII a brace of events took place on opposite coasts that would trigger a new wave of racing in the US. 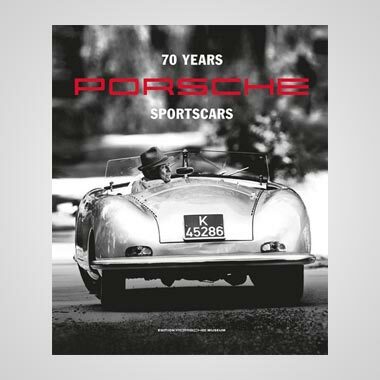 In 1947 the first sportscar races were held in the east, through the streets of Watkins Glen in Upstate New York; meanwhile, in the west, the first MGs were arriving at a new dealership established by Kjell Qvale in the San Francisco Bay Area. 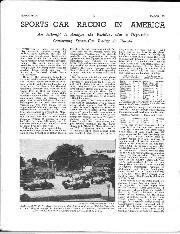 It took almost two years for the sportscar scene to make its way across the country, but in November 1949, at Buchanan Field, an airport near the East Bay town of Concord, the first post-war Californian road race was held. It was organised jointly by Qvale, the Northern California MG Car Club and the new San Francisco Region of the Sports Car Club of America (SCCA). Tracks then sprang up throughout the state: Palm Springs, Torrey Pines, Santa Ana and Pebble Beach. 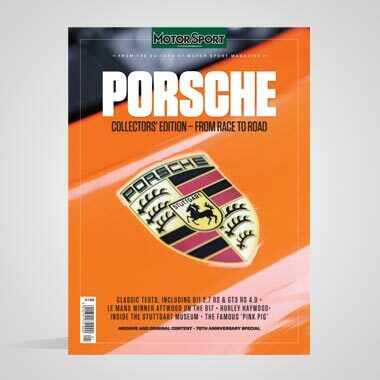 Sportscar racing had arrived. One group that took notice of this new fad was The Guardsmen, a San Francisco philanthropic organisation of successful young businessmen who had been raising money to send underprivileged children to summer camps since 1949. They approached the Mayor's office with the idea of holding a sportscar race by way of a fundraiser. Agreement was soon reached. Several sites were considered but the committee chose Golden Gate Park: it had miles of paved roads within its boundaries that could easily be closed to public traffic. A 3.1-mile, eight-turn course was laid out in the western half of the park and a date selected: May 31, 1952. Co-sponsored by The Guardsmen and the San Francisco Parks and Recreation Department, the meeting was SCCA-sanctioned. Fifty-eight entries were accepted for the three races on the card: F3, sportscars under and sportscars over 1500cc. The under-1500s consisted mostly of MG TCs and TDs, while among the over-1500s were Jaguar XK120s, Allards, an Aston Martin, a Ferrari and a variety of specials. An estimated 50,000 spectators saw Roger Barlow (Simca Special) win the small-capacity category and Bill Pollack's Cad-Allard beat Phil Hill's Ferrari 212 in the main event. 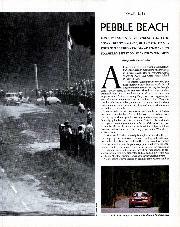 The praise was universal — the track was not only picturesque but challenging, "One of the best in the United States, a true European-type road circuit." The Guardsmen were already gearing up for 1953. There were several changes made to improve crowd control and the racing for the second running. An even bigger crowd was being anticipated and miles of snow fencing was erected to keep fans further from the track. 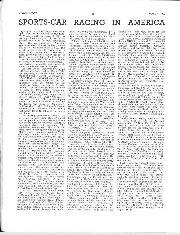 An additional production car class replaced F3 and more entries were accepted: 87. OSCA, Giaur, Jowett, Nardi, C-type Jaguars and Healey Silverstones joined the more familiar MGs, Allards, Porsches and homebuilt specials. Ken Miles' R-1, an MG-based special, was the fastest 1500, but the man of the meeting was 21-year-old Masten Gregory, who belied his inexperience — just two races prior to this one — with a mature drive to victory aboard a C-type. A record 100,000 lined the course. The Guardsmen were soon planning for 1954. The third meeting was bigger and better: 143 entries, 115,000 spectators, four races. Bill David's OSCA ran away with the under-1500cc event and Jack McAfee's Ferrari 375 outran the field in the main event. 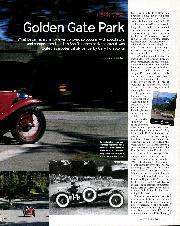 Journalists and officials were by now speculating that Golden Gate Park's races might gain grand prix status and attract top international drivers to compete with America's best. Not everybody was enamoured, though. Environmentalists wielded power even then and the city fathers succumbed to their pressure to stop the races: too many people, too much noise, and damage to plants and trees. Racing cars were getting faster, too, increasing the chance of a big accident. The venue was consigned to history. Not much has changed since that final race 51 years ago. Two of the park's main thoroughfares have been renamed to honour John F Kennedy and Martin Luther King, but the roads used for the course follow the same paths and are easily located. Heading west from San Francisco on Fulton Street, turn left onto 43rd Avenue and follow the winding road a short distance to John F Kennedy Drive. This brings you in at the north-west corner of the track, Turn 7. Turn left again, and a few tenths of a mile later you pass Turn 8, a gentle left, and arrive at the original start/finish line. For safety reasons — two cars collided crossing it side by side at 100mph in 1952 —the line was moved closer to Turn 7 for '53 and closer still for '54. Its final site was opposite the Bison Enclosure! Most summer mornings would find a low fog hanging in the trees, but by the noontime start of the first race the sun would have broken through, casting shadows onto the track. Cars were aligned two by two, engines revving, all eyes on the starter's flag. Go! Emerging from the last of these curves, drivers were able to see a concrete overpass traversing the road ahead. Turn 2, a 90 right onto a bumpier, narrower road, was just this side of it. A quick blast of a few hundred yards, up over a crest and down a dip, and there was Turn 3, another sharp 90 right, this time onto Middle Drive. After a full-throttle, curving half-mile run drivers approached Turn 4, perhaps the track's trickiest, a tight left with a blind turn-in and offcamber apex. The hard braking here was a real test for the bigger cars, especially late in the races. However, if a driver made a mistake he simply plunged up the escape road. Since the course was run on public roads, most turns were at intersections, which allowed for this extra margin of safety. A short chute led to Turn 5, a mirror image of 4. 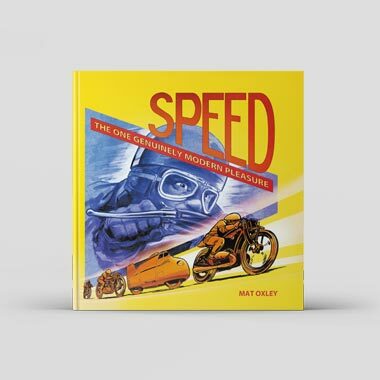 There was no room to pass here, but immediately after it a downhill half-mile run allowed plenty of scope for slicing past tardy back-markers; Gregory reckoned his C-type clocked 130mph along this stretch. Hence another big stop: Turn 6, aka Lella's Folly. This corner was named after Pino Lella, who took to the escape road in 1952 and was not seen again until that night's victory dinner. Rumour had it he got lost in the park trying to find his way back onto the course. Turn 6 was a 90-degree right-hander which took the racers past the equestrian arena (still there), around a sweeping left-hander and up a short straight to Turn 7, another 90 right. After that it was uphill all the way to the start/ finish. 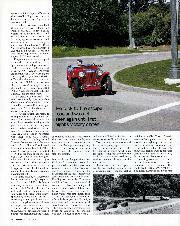 In 1954 McAfee, in his 4.5 litre Ferrari, averaged 74mph, without ever selecting top gear. It was a record that would never be beaten. They would have loved Golden Gate Park, though. 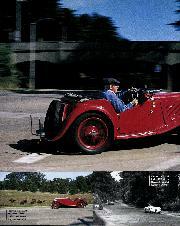 This red 1948 MG TC has had one owner since new: Alan Patterson, who bought it from importer Max Hoffman in New York for the princely sum of $1800. 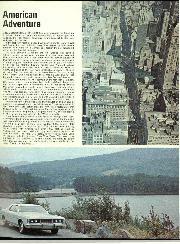 At the time Patterson was living in Pittsburg: he arranged for Hoffman to deliver the car to the Plaza Hotel next to Central Park. The ex-demonstrator had 400 miles on the clock. Patterson originally used the car as his daily driver while attending college in Miami, but throughout the 1950s he also raced it in eastern SCCA events: Watkins Glen road course, Sebring, Cumberland, Conelsville, Marlboro and Put In Bay. As was the custom. Patterson would drive to the track, lower the windshield, remove the spare and go racing. He eventually moved up to a more modern car and retired the TC from racing in '58. But Patterson kept it, ran it in occasional vintage races and still drives it regularly today. For this Track Test he motored from his Sausalito home, across the Golden Gate to San Francisco. It now has 100,000 miles under its wheels.